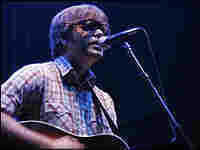 Ben Gibbard Gives Solo Concert As frontman for the Seattle rock band Death Cab for Cutie, and part of the electro-pop duo Postal Service, Ben Gibbard has won over legions of fans for his literate, bittersweet songwriting. Now Gibbard is embarking on a month-long solo tour. Hear him recorded live in concert from Washington, D.C. This live concert webcast is a production of NPR Music's All Songs Considered and the 9:30 Club in Washington, D.C. Language Advisory: These live concert recordings contain language that is not suitable for all audiences. Right-click (pc) or ctrl-click (mac) and save to your computer. Note: The Ben Gibbard concert is only available temporarily through the All Songs Considered podcast. 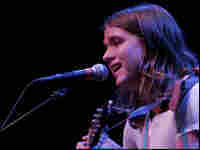 As frontman for the Seattle rock band Death Cab for Cutie, and part of the electro-pop duo Postal Service, Ben Gibbard has won over legions of fans for his literate, bittersweet songwriting. Now on a short hiatus from both bands, Gibbard is embarking on a month-long solo tour. Hear him in a full concert recorded at Washington, D.C.'s 9:30 Club with Johnathan Rice and David Bazan. Gibbard formed Death Cab for Cutie in 1998 not long after meeting guitarist Chris Walla. The band released five acclaimed albums on the independent label Barsuk before singing to Atlantic Records in 2003. Their major label debut, Plans was released in 2005. Death Cab for Cutie's tour for that album was featured on NPR's live concert series. While continuing with Death Cab for Cutie, Gibbard co-wrote and produced an album of songs with electronic artist Jimmy Tamborello (Dntel) for a side project they called The Postal Service. The resulting album Give Up, went Gold in the U.S. and became one of Sub Pop Records most popular releases of all time. For his brief solo tour Gibbard is playing a mix of new material with songs from both Death Cab for Cutie and Postal Service. 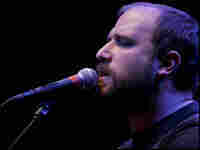 Joining Gibbard for the tour is David Bazan, frontman and founder of the Seattle rock group Pedro the Lion, and singer-songwriter Johnathan Rice. Since forming Pedro the Lion in 1995, Bazan has remained the principal focus of the band with a rotating cast of supporting musicians. He's expected to release a full-length solo album later this year. Johnathan Rice is a native of the Washington, D.C. area who moved to New York after graduating from high school in 2001 to pursue a career in music. He eventually released an EP, Heart and Mind that got the attention of Warner Bros. / Reprise. The major label signed him for his full-length debut Trouble Is Real, released in 2005. 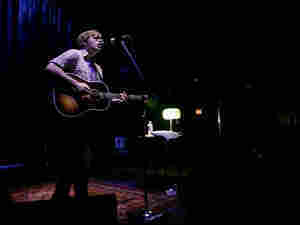 His next album tentatively titled Further North, is expected to be released in the Fall.